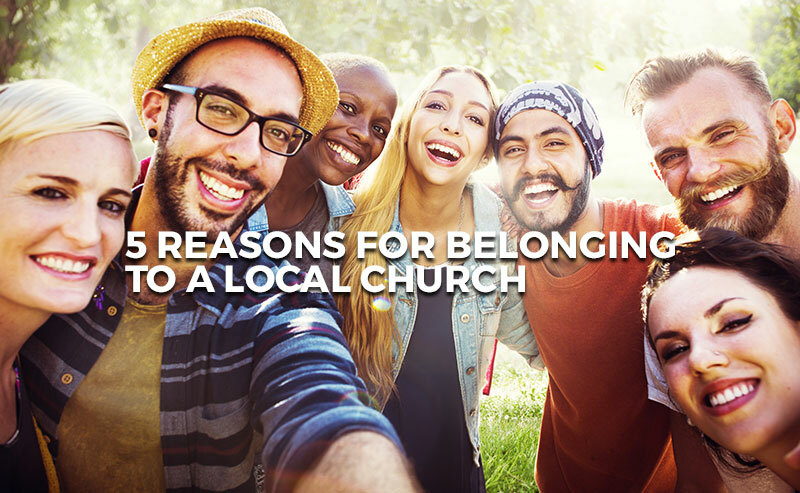 The New Testament contains at least five strands of evidence for local church membership. Each one reveals something vital to Christian Faith which would be minimized or denied if there were no definable local church membership. Church membership is implied by the way the church is supposed to discipline its members. The church appears to be the final court of appeal in matters of church authority as it relates to membership. There are two significant implications here: One is that there is an “in the church” group and an “outside the church” group. Being in the church is definable. The other implication is that a person can be removed from being “in the church.” Such a formal removal would not be possible if there were no such thing as a clear membership. The question is, who is an accountable part of this body, and who is not? Church membership is implied in the biblical requirement of all Christians to be submitted to a group of church leaders, elders, or pastors. Without church membership, who is it that the New Testament is referring to who must submit to a specific group of leaders? Some form of expressed willingness, agreement, or covenant has to precede a person’s submission to a group of leaders. How is this leadership and submission going to work if there is no official membership set in place to define who has made the commitment to be led and who has been chosen to lead? If we neglect the importance of membership, it is difficult to see how we could take these commandments seriously and obey them practically. Church membership is implied in the way the New Testament requires elders to care for the flock in their charge. Obviously, elders can extend their focus and care to anyone within the limits of their ability. However, the question is whether or not the Bible gives elders a special responsibility to care for a specific group or community of people. These verses do not say elders cannot invest in unbelievers or those who are not yet church members, but it does make clear that their first responsibility is to a particular flock. So how do elders know who their flock is? Who are pastors responsible for? For whom will we give an account to God? If a person does not want to be the special focus of the care of a group of elders they will resist the idea of church membership. And by doing so, they will resist God’s appointed way for them to be spiritually sustained and flourish in their faith. Church membership is implied in the metaphor of the body of Christ. There is a unity and organic relationship implied in the imagery of the body. There is something unnatural about a Christian attaching himself to a body of believers and not choosing to be a functioning member of that body. It is also important to note that this is the context where church leaders are recognized, developed, and appointed. Becoming a part of a church is first and foremost a covenant with God. It is to commit to being a genuine and passionate disciple of Jesus. Discipleship requires context. Just as fish require water and plants require soil, so a disciple of Jesus requires the context of the local church. Therefore, a person’s commitment to a local church is always first a commitment to Jesus as one of his followers. Many people view churches as an unnecessary, or even manipulative, institution not particularly valuable for spiritual growth or personal well-being. This mindset has only increased in our post-modern and post-Christian society. Because of this, joining a church is one of the most counter-cultural things a person can do. Becoming a church member means leaving behind the comfort of individualism and voluntarily allowing yourself to be bound to others. We do this because Jesus joyfully left behind his comfort and bound himself to us.